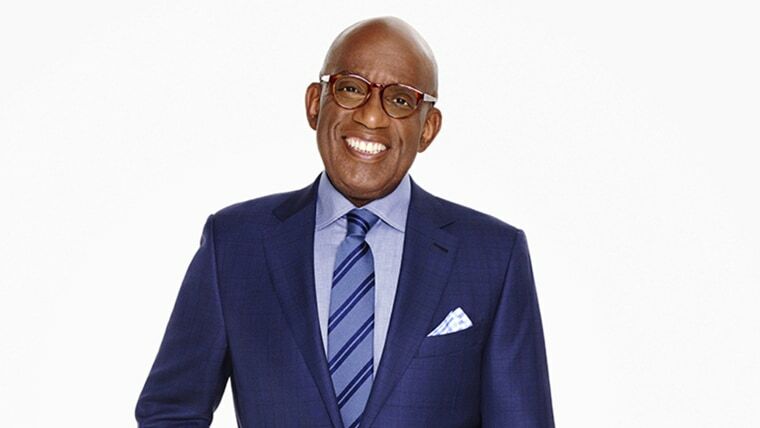 Al Roker has been the weather and feature anchor on NBC News’ TODAY since January 1996. Since July 2009 he has been co-host of the morning show “Wake Up with Al” on the Weather Channel. Until January of 2000, Roker also served as the weekday weather forecaster for News Channel 4’s early evening newscast Live at 5on WNBC-TV, NBC’s flagship owned and operated station in New York City. New York magazine has twice named Roker Best Weatherman. He came to WNBC-TV as a weekend weathercaster in December 1983 from WKYC-TV, the NBC television station in Cleveland. Roker began his broadcasting career while still in college by landing a job as a weekend weatherman WTVH-TV in Syracuse, N.Y. in 1974. After graduation he moved on to weathercasting jobs in Washington, D.C. (1976-1978) and Cleveland, Ohio (1978-1983). He is a recipient of the American Meteorological Society’s prestigious Seal of Approval and has been a pioneer in the use of computer graphics for weathercasting. Most recently, in 2010, Roker was awarded a Daytime Emmy award as part of TODAY’s recognition as the best morning newscast. Throughout the years, Roker has reported live for TODAY from some of history’s worst storms and natural disasters. In January 2010, Roker reported from Haiti with the most up-to-date information on the earthquake devastation. In August 2010, he co-anchored live from the Lower Ninth Ward and the French Quarter in New Orleans for a special edition on the fifth anniversary of Hurricane Katrina. Among highlights of his career as an interviewer, Roker conducted an exclusive interview with Peanuts creator Charles Schulz shortly before his death from colon cancer. Since 1985, he has served each holiday season in midtown Manhattan as co-host for the annual Christmas at Rockefeller Center. The seven-time Emmy award winner also co-hosts The Macy’s Thanksgiving Day Parade and Rose Bowl Parade and appears on various specials for NBC. Roker’s “Lend a Hand Today” trip takes him across the nation as he visits a different not-for-profit organization each day. In 2010, in its ninth consecutive year, “Lend A Hand” continued its mission to help small charities across the country that work towards improving conditions in their communities. Roker’s goodwill road trip kicked off in San Francisco, California and continued throughout the week in Bozeman, Montana, Des Moines Iowa, Memphis, Tennessee and Rye, New Hampshire. In 1994, Roker founded Al Roker Entertainment, Inc. (ARE), a thriving multimedia company involved in the development and production of network, cable, home video, and public television projects. ARE produces programming for a diverse clientele including NBC News, Lifetime Television, A&E, The History Channel, E!, Discovery Networks, PBS, TV ONE, Oxygen, The Cartoon Network and NBC Television Stations Group. Roker is a bestselling author with five acclaimed books to his credit. His first book, “Don’t Make Me Stop This Car: Adventures in Fatherhood” spent weeks atop the New York Times best-seller list. In May 2002, “Al Roker’s Big Bad Book of Barbecue” was published and, quickly became a summer blockbuster hit. His second cookbook, “Al Roker’s Hassle Free Holiday Cookbook”, became a huge success as it prepared America’s budding chefs for the holidays. “Big Shoes: In Celebration of Dads and Fatherhood” honors fathers and their contributions to lives of their children. Roker’s most recent publication, the 2010 book “The Morning Show Murders: A Novel” is an exciting crime novel that revolves around a fictional TV program much like TODAY. Roker is a member of several professional organizations, including the Friars Club, American Federation of Television and Radio Artists, the Screen Actors Guild and the American Meteorological Society. Raised in Queens, New York, Roker received his B.A. in Communications from the State University at Oswego in 1976, and was awarded an Honorary Doctorate from the school in 1998. He resides in Manhattan with his wife, ABC News 20/20 Correspondent Deborah Roberts, and has two daughters and one son. Updated June 4, 2013. Originally posted March 12, 2004.